Patrick T. Grady has worked with over one million people nationwide in a vast variety of settings and presentations. With over two decades of experience as a speaker and trainer, his extraordinarily powerful presentations can help you and your people navigate your way through the maze of challenges we face in our organizations, corporations, associations and educational environments. Using a high energy approach with clean and appropriate humor, stories and analogies as the catalyst for his message, Patrick will help you to develop skills that will dramatically impact how you deal with and implement your responsibilities. Utilizing interactive activities and real world examples, your audience will more than simply listen . . . they’ll learn to take action NOW and gain breakthrough skills for leaders at every level! 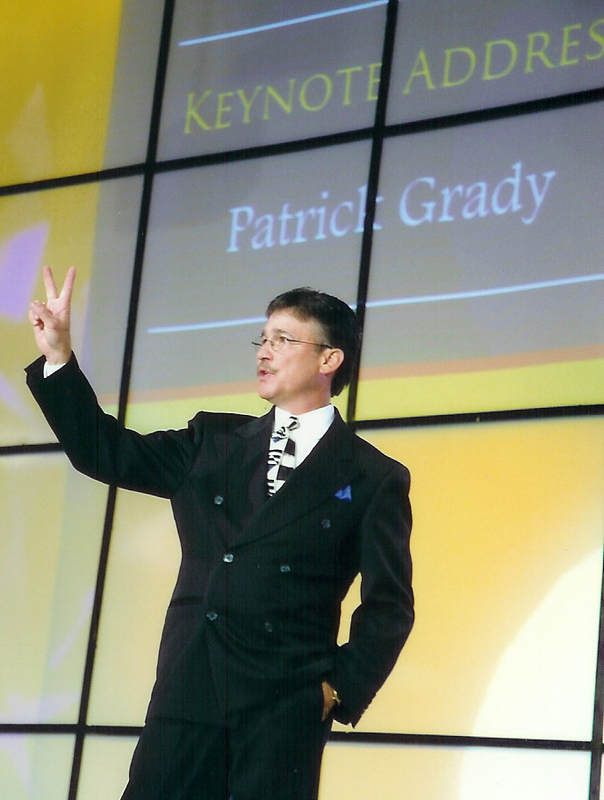 Through his humorous and interactive presentations, Patrick assists participants in identifying the positives associated with our careers, he teaches attendees how to get out of paradigms that hold back creative thinking and develop new patterns of thinking that support innovation and new ideas. Patrick personalizes EVERY presentation around YOUR specific goals and objectives. Through personal contact with all clients and the use of our questionnaire he is able to develop and deliver presentations that have impact, meet and exceed your expectations. Delivering top quality products and/or services . . . if we don’t do it . . . someone else will! The above listed topics can also be incorporated into your program.